Our gallery is happy to announce its participation in the inaugural edition of "Taipei Dangdai” Contemporary Art Fair. For this event we will present a carefully curated selection of eight contemporary artists ranging from important Chinese diaspora masters Chao Chung-hsiang and Walasse Ting, to internationally recognized ink masters Gao Xingjian, Wang Tiande and Wei Ligang, to two emerging female ink artists Cherie Cheuk Ka-wai and Wang Mengsha. In addition, we will be showing sculptor Man Fung-yi's iconic Weaving Series which has been previously exhibited at Louis Vuitton Art Spaces in Taipei, Singapore and Hong Kong. 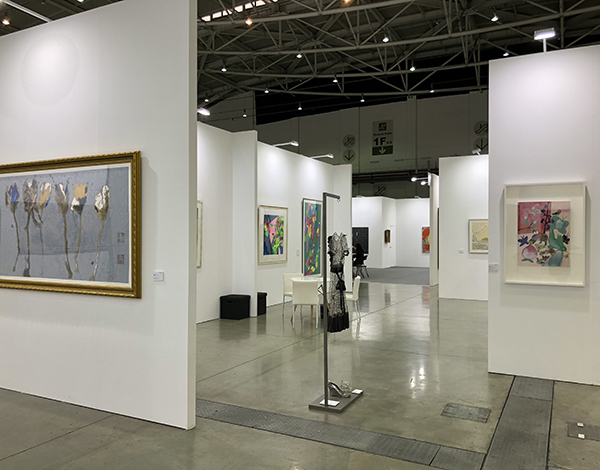 Established in 1981, Alisan Fine Arts is one of the first professionally run galleries in Hong Kong and has been a pioneer in the field of Chinese contemporary art and New Ink Art. In particular, our gallery focuses on promoting established Chinese diaspora artists and premiere talents from across China and Hong Kong.